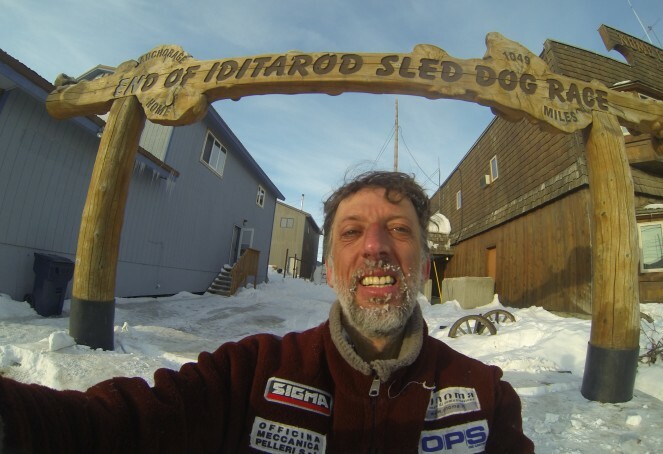 Marco Berni and Beat Jegerlehner, left White Mountain on March 23th at 10.30 AM (6.30 PM in Italy), reach the end of Iditarod Trail Invitational in Nome on March 24th at 6.00 PM (4.00 AM of March 25th in Italy). Marco Berni has run 1800 km in 28 days and 4 hours, reaching the end line of Nome for the third time. The two athletes has been warmly welcomed in Nome and, happy for what they accomplished, they’re now resting in a warm place, after so many nights spent in the cold Alaska’s temperature.